Q: What’s the difference between your On-Demand Library and your Teleconferences? Q: How do I purchase an On-Demand Program? Q: What’s the difference between Standard and Premium Programs? Q: Do you guys provide Continuing Education credit for your On-Demand Programs? Q: I want to purchase a Standard On-Demand Program. When and how will I receive the materials? Q: I want to purchase a Premium On-Demand Program. When and how will I receive the materials? Q: I am not completely happy with an On-Demand Program I purchased. What is your refund policy? Q: Whoops. I purchased the wrong On-Demand Program. What do I do? Actually, nothing. Our On-Demand Library simply is made up of programs that were previously held as live teleconferences. This gives you the flexibility to access the handout materials and audio recordings of each of the programs after they have passed. The easiest way to purchase one of our On-Demand Programs is to order online. You can do this either in the On-Demand Library or on the individual page for a program. You will want to select Standard Program or Premium Program. Once you add the item to your cart, you will be taken to your shopping cart where you can enter in your payment information or continue shopping. You can also place your order by phone Monday through Friday from 8:30am to 5pm Pacific Time by calling us at 1-866-754-6477. Similar to our Teleconferences, a Standard Program includes: immediately downloadable PDF program handout materials and MP3 audio recording. The Premium Program includes printed handout materials, a USB drive or Data CD containing the PDF handout materials, and MP3 audio recording that are sent via USPS 2-day Priority Mail within 3-5 business days. Included in the handouts of most of our programs is a Certificate of Completion for those professionals that can self-report their continuing education participation to their regulatory agencies. The handout materials will be available for download immediately after your order has been processed. The first page of the handout materials will contain a link for you to download the MP3 audio recording. The handout materials are provided as an Adobe PDF file. You will need Adobe® Reader® installed on your computer to view and print these materials. To download Adobe® Reader®, click here. The Premium Program includes printed handout materials, a USB drive or Data CD containing the PDF handout materials, and the MP3 audio recording that are sent via USPS 2-day Priority Mail within 3-5 business days. We understand that our customers can vary with respect to the level of experience and expertise of a particular subject. We try our best to be as detailed as possible in the description of programs so that those interested in those topics can determine if the program is appropriate for them. However, we understand that there are times where people may not, for whatever reason, be completely happy with a particular teleconference program. It is our goal to make our customers happy. If you are unhappy with an On-Demand Program, please contact us immediately at 1-866-754-6477 or by e-mail at orders@ultimateestateplanner.com and we will try to replace your program with another On-Demand Program. No monetary refunds will be provided. 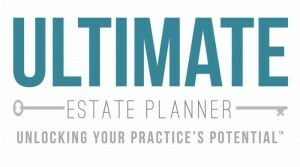 Contact us immediately at 1-866-754-6477 or by e-mail at orders@ultimateestateplanner.com and we will assist you in swapping out your registration for the On-Demand Program you intended to purchase.